Recently I was feeling a strong urge to stock up on food and recheck my preps. I don’t know if it’s that winter is coming, all the unrest in the news, the poor economic outlook, or perhaps something else. Maybe I was just trying to feel in control of our family’s crazy schedule this semester. Whatever the reason, I had to do something about it. 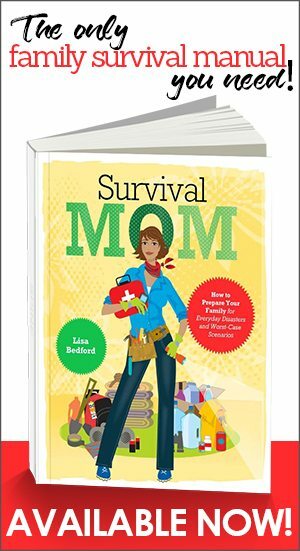 I did a quick inventory of food, sanitation, and first aid to see what we were obviously missing, made an inventory prep list, and headed to the stores. • Canned tomatoes: Many of my food storage dinners require some combination of rice, beans, and tomatoes. They’re very versatile whether you’re making an Italian flavored dish, a Mexican flavored dish, or chili. They’re also a great source of Vitamin C. In fact, my can of tomatoes say the Vitamin C is 20% and only 2-15% on my canned fruits! This is also the time of year when many people can their own tomato sauce, salsa, or stewed tomatoes, and I’m planning on doing some of that as well. • Vinegar: We use white vinegar in a lot of our household cleaning, including as a fabric softer. You can use it to preserve foods too. Apple cider vinegar can be used in cooking to give depth of flavor, but is even more useful as a natural cold remedy. And it can be used for your skin and hair. Anything that has multiple sanitation and hygiene uses is definitely something I want to keep stocked. • Coffee: I enjoy a good cup of coffee in the morning. My husband feels even stronger about this “necessity.” After a sleepless night with the kids, we both find the caffeine essential. Something that’s both a comforting daily ritual and contributes to alertness would be important to us in a time of crisis. • Chicken feed: I count on our chickens to feed us, both in fresh eggs and as a back-up for fresh meat. So if for any reason I was unable to get feed for them, I would definitely want to have extra on hand. I also picked up some wood chips, which is what I use in the nest boxes and what I would use if I had to bring them inside for some reason. • Baby Wipes: We do still have a child in diapers, at least part-time. And it would not be unusual for a newly potty-trained youngster to regress in a time of family stress. But baby wipes are also useful for adult hygiene, particularly when good water is in short supply. • Adult Tylenol/Ibuprofen: We have a variety of natural pain options, such as essential oils. But in an emergency, quick pain relief for headaches, sore muscles or even a toothache would be very important. • Hydrogen Peroxide: There are lots of recommended antiseptics out there. But Hydrogen Peroxide is very cheap, and I can use it on people and animals. In fact, I’ve used it on my kids, my chickens, and my cat this year. Which is why I needed more. • Toothbrushes: Good dental hygiene is important even in great economic times, but critical prevention measures in times of economic challenges or long term SHTF scenarios. For good measure, I also picked up extra toothpaste and floss. • Burn Cream: Burns are very common injuries when you’re trying to heat and cook without electricity. And as my husband found out at work recently, a bad burn to the fingers or hand is quite debilitating. Having plenty of burn cream on hand can ease suffering and directly contribute to everyone’s ability to pitch in when you need them most. • Propane tanks: We have multiple propane tanks that we use not only for our grill but also for our propane heater. In fact, just a few years ago, we (safely) made use of this heater during a blizzard when the power went out for several days. And our propane grill has a burner on the side, making a quick and easy way to boil water for drinking, cooking, bathing, or washing. So I always feel better that we’ll likely have hot food, baths, and clean clothes in a short-term emergency if we have enough propane on hand. 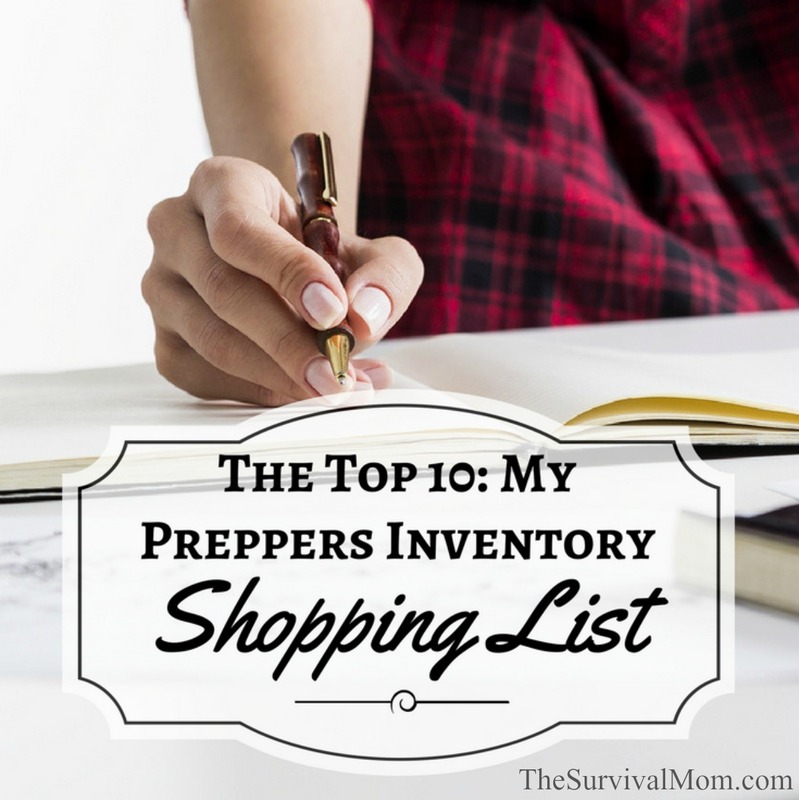 After making this list and double checking it the next day, I actually went to Walmart, Fleet Farm, and my grocery store and purchased some of each item. Not 6 months’ worth or 2 years’ worth, but just something in each category. As I was walking out of the stores after my purchases, I felt a huge sense of peace and relief! In addition, I plan to save this list as a quick reference for a last-minute trip to the store during a real emergency. It’s probably not a bad representation of things we use a lot and are likely to need to refresh often. Your list may be very different from mine! I knew we were good on bleach, for example, having recently purchased a case on sale. We just picked up a free truckload of firewood. And I had already done our fall clothes inventory, making sure everyone has boots and coats and snow pants in this year’s sizes. 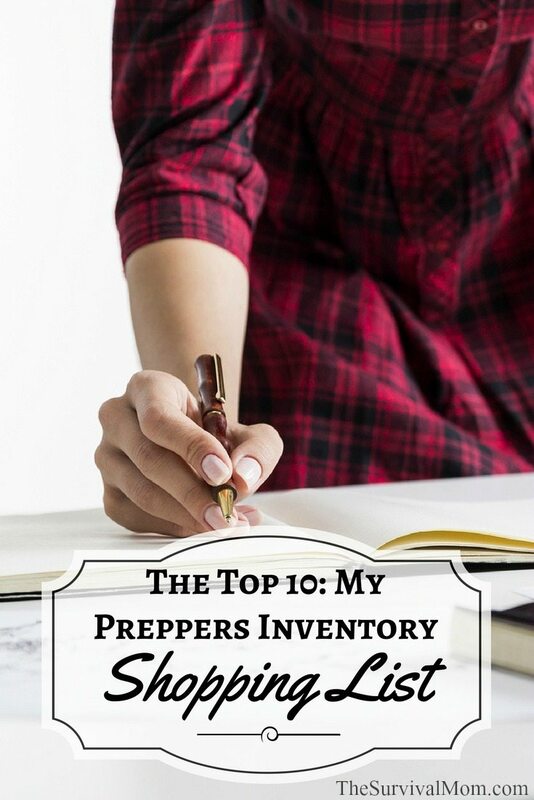 So if you’re feeling stuck in your prepping, or slightly panicked like me, or you just need a quick way to make some preparedness progress, take a few minutes to make your own top 10 list. I can relate to how you felt after picking up supplies. I have that same sense of relief too. By the way, I just picked up more vinegar too. In France, we don’t do prepping, I even don’t know the right translation in french ! But I was raise by women ( mother and grand mother) who grow during wars, so they never throw thomething, and loved stockpills ! I try to disguise my prepping, and this seems to work with my husband ! 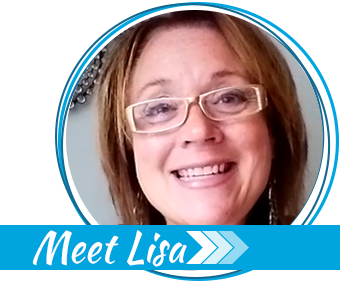 Our finances are so limited it is difficult, but I feel the urgency to do more! 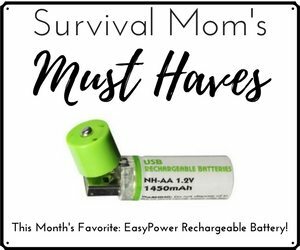 On my list would be more first aid supplies, hydrogen peroxide, bleach, soap, deodorant, shampoo, along with dry shampoo, toilet tissue, coffee, tea bags, sugar, stevia for hubby, and foods my family can eat. And all the OTC meds I could afford. 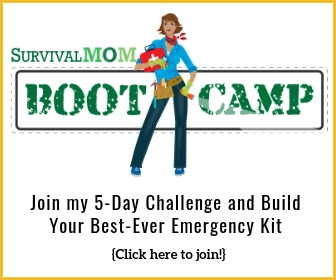 There is a LOT of prepping you can do without spending any money at all, and many preppers visit the Dollar Stores to buy bargain preps. Nice reminders, thank you. I’m always a little taken a break when I’m in the checkout line and see someone in front of me with so much microwaveable this or that, K-cups instead of canned coffee, and so much frozen food I wonder if they have two freezers. I don’t think enough people understand the basics of prepping and I feel sorry for them. When the power goes down, it’s ALL back to basics. It dawned on me recently that I’d need a way to make that coffee someday. Found an awesome stainless percolater on eBay for less than $30. When hubby asked me why… this girl needs her coffee even in an apocalypse! Of course a few days without electricity feels like an apocalypse without your coffee! Might want some baby teething gel, it works wonders to numb a burn. No pain in seconds, sometimes you have to apply it a couple of times.